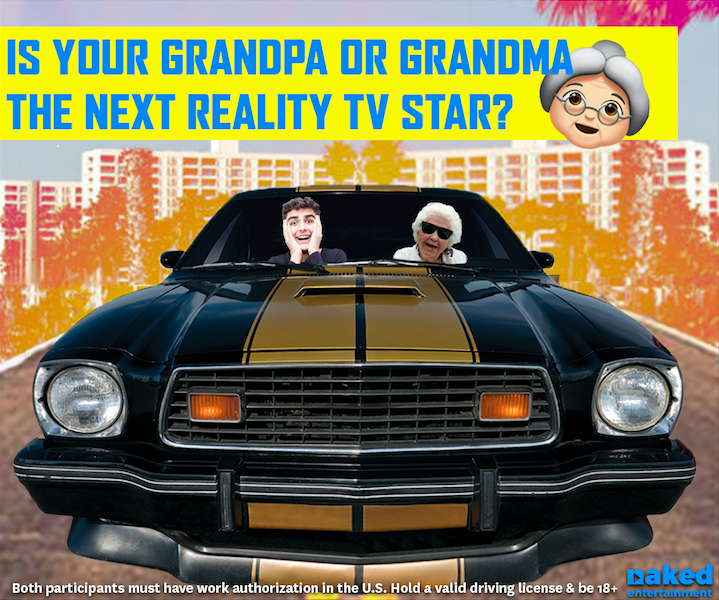 NOW CASTING: Fun & Feisty Grandparents Wanted to Help You Win a HUGE PRIZE. Are you ready for the ultimate adrenaline road trip where your granny or grampy could help you win a HUGE PRIZE? In a brand new TV pilot for a major U.S. cable network, fun & feisty grandparents with attitude could help you win big. In this adrenaline fueled car competition you and your superstar grandpa / grandma will need to work together, think fast, get creative and overcome some serious odds for the chance to win big. If you appear to be 20 – 28 years old with a rad grandpa or grandma we want to hear from you today! Participants must have valid work authorisation in the U.S.